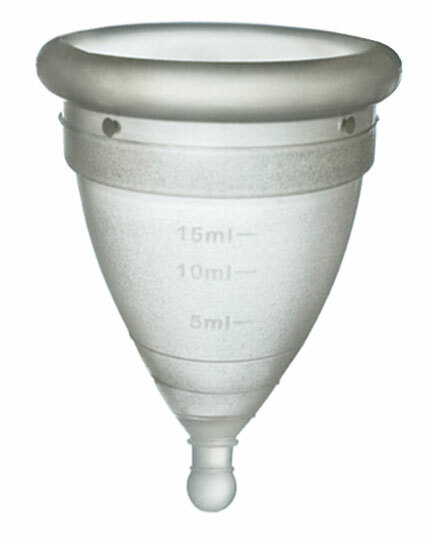 Naturcup, manufactured in Spain, is a menstrual cup made out of medical grade silicone. They’ve paid close attention to design for this cup. Most importantly, there is a 6 month guarantee. If you aren’t satisfied, you can return the cup. If you have problems using the cup, they have excellent cusomter service where you can get help with the menstrual cup in your own language. The material and shape of the cup are very similar to other cups. So, what makes it different? The stem of the Naturcup has a ball at the tip as well as rings to it easier to grasp during removal for one. In addition, the airholes are larger which makes it easier to remove as well as to clean. (Unlike other menstrual cups, which may require a sharp object to clean the holes properly, the Naturecup holes should be easy to clean.) Another difference is that it has a large capacity so that it can handle even the heaviest periods and has two measuring lines to help you gauge the size of your flow. In comparison to most cups, which come in only two sizes, the Naturcup comes in three sizes which should make it easier to find a cup that fits you and your period the best.